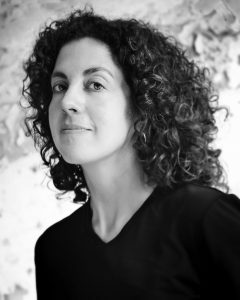 Poet and essayist Lia Purpura will give a reading of her work at 6:30 p.m. on Thursday, April 12, in Hanes Art Gallery, as part of the Dillon Johnston Writer Reading Series. A reception will follow. This free event is open to the campus community and the wider public. Learn more about the Dillon Johnston Writers Reading Series here. Lia Purpura’s new collection of essays, All the Fierce Tethers, will be published in 2019 with Sarabande Books. Her most recent collection of poems is It Shouldn’t Have Been Beautiful (Viking/Penguin). She is the author of three previous collections of poems (King Baby, Stone Sky Lifting, The Brighter the Veil); three collections of essays (Rough Likeness, On Looking, Increase), and one collection of translations (Poems of Grzegorz Musial: Berliner Tagebuch and Taste of Ash). A finalist for the National Book Critics Circle Award (for On Looking), she has also been awarded fellowships from the Guggenheim Foundation, the NEA, the Fulbright Foundation (Translation, Warsaw, Poland), and the Maryland State Arts Council, among others; she is also the recipient of four Pushcart Prizes. Purpura’s poems and essays appear in: Agni Magazine, Ecotone, Field, The Georgia Review, Orion, The New Republic, The New Yorker, The Paris Review, Ploughshares, The Southern Review and many other magazines and anthologies, including Best American Essays and The Pushcart Anthology. She lives in Baltimore, where she is currently the Writer in Residence at the University of Maryland, Baltimore County. She also teaches at the Rainier Writing Workshop in Tacoma, WA.